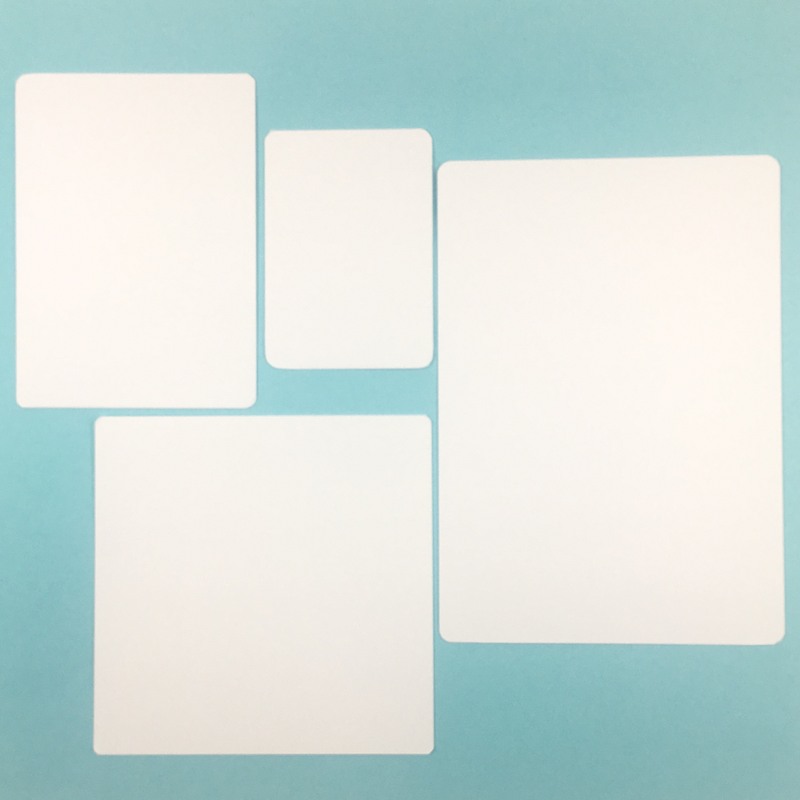 A set of thick blank cards. These are 270 GSM thick cardstock for easy writing on and changing. The stock is a plain stock, which takes pen, sharpie and pencil. 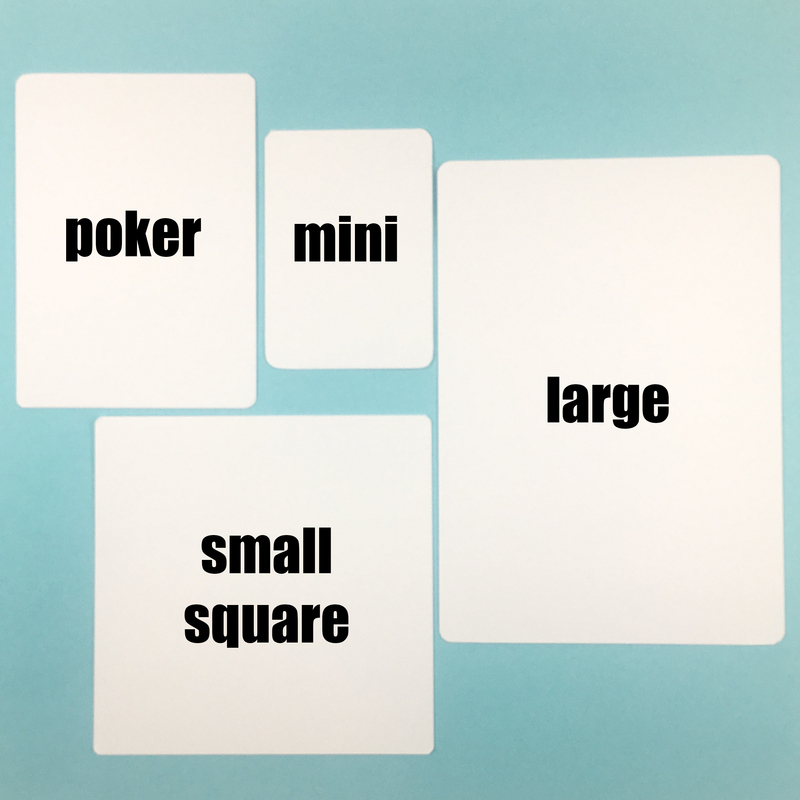 All corners are rounded for the cards.